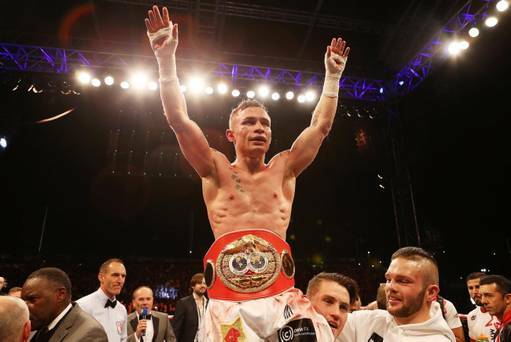 Congratulations to Carl “The Jackal” Frampton on becoming the new IBF world champion in stunning fashion against former champion Kiko Martinez in the first outdoor boxing event of it’s kind in Northern Ireland. Carl won the fight on point’s decision after 12 hard fought rounds in front of 16,000 spectators at Belfast’s Titanic Quarter. He is a great role model within the sport of boxing and it was with great pleasure that we were able to assist him in his preparation by utilising our club facilities in the 10 days leading up to the fight. We wish Carl every success in 2015 when he will be fighting to retain his newly claimed championship belt.